BUILDING LOT LISTING. LIST PRICE INCLUDES 4 LOTS. ALL LOTS TO BE SOLD TOGETHER. 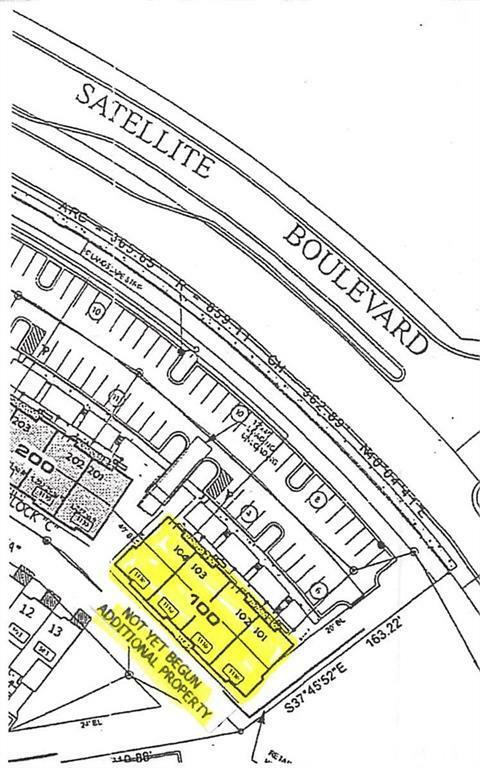 THIS LISTING IS 4 CONTIGUOUS OFFICE CONDO BLDG LOTS THAT COMPROMISE PROPOSED BUILDING 100 AT RIVERDANCE COMM OFFICE PARK IN SUWANEE. THESE 4 LOTS HAVE FOUNDATION IN PLACE BY PREVIOUS OWNER AND NOW ARE CURRENTLY INVESTOR OWNED BY LISTING AGENT. THERE ARE 2 ON GRADE FOUNDATIONS AND 2 BASEMENT FOUNDATIONS. THIS PROPOSED BUILDING 100 CURRENTLY HAS NO CONDOMINIUM FEES ATTACHED AS TO DATE HAS NOT BEEN DEDICATED TO CAM. TAX PARCEL NUMBERS ARE R7154 058, 059, 060, & 061.